Physigeh is a physics-based action puzzle game. 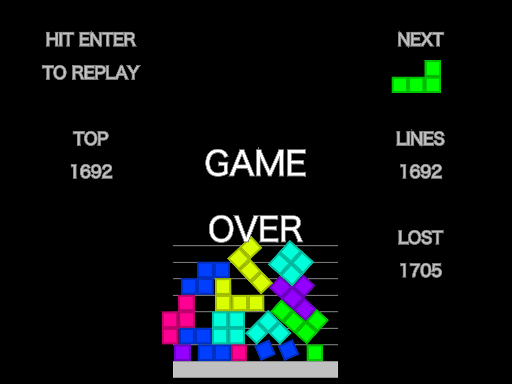 You can control a falling-down tetromino piece and stack it on others (as is often the case). In addition, tetromino pieces follow the physical laws. You can play Physigeh in your Web browser. Enjoy! This program is free software: you can redistribute it and/or modify it under the terms of the GNU General Public License as published by the Free Software Foundation; version 2 of the License.